In this conversation, Petros maintains that there are certain actions of US citizens that the State Department gages as determinative of whether a person’s intention is to relinquish their US citizenship or no. These go beyond the stated intention of the person, based upon the concept that actions speak louder than words. NB: Please be sure also to read a very comment at the end of this post. (1) Travelled to US on a foreign passport. The Department of State is the U.S. government agency responsible for determining whether a person located outside the United States is a U.S. citizen or national. A U.S. citizen who assumes foreign public office may come within the loss of nationality statute, which is Section 349 of the Immigration and Nationality Act of 1952 (INA), as amended, (8 U.S.C. 1481) or other legal provisions as discussed below. Currently, there is no general prohibition on U.S. citizens’ running for an elected office in a foreign government. Under Article 1, section 9, clause 8 of the U.S. Constitution, however, U.S. federal government officers may not accept foreign government employment without the consent of Congress. See 22 CFR Part 3a regarding acceptance of employment from foreign governments by members of the uniformed services. With respect to loss of nationality, 349(a)(4) of the Immigration and Nationality Act (INA), as amended, is the applicable section of law. Pursuant to 349(a)(4), accepting, serving in, or performing duties in a foreign government is a potentially expatriating act if the person is a national of that country or takes an oath of allegiance in connection with the position. Thus, the threshold question is whether the person’s actions fall within the scope of this provision. Information used to make this determination may include official confirmation from the foreign government about the person’s nationality, and whether an oath of allegiance is required. In addition, the prefatory language of section 349 requires that expatriating act be performed voluntarily and “with the intention of relinquishing U.S. nationality.” Thus, if it is determined that the person’s action falls within the purview of 349(a)(4) INA, an adjudication of the person’s intent must be made. The Department has a uniform administrative standard of evidence based on the premise that U.S. citizens intend to retain U.S. citizenship when they obtain naturalization in a foreign state, subscribe to routine declarations of allegiance to a foreign state, serve in the military forces of a foreign state not engaged in hostilities against the United States, or accept non-policy level employment with a foreign government. This administrative premise is not applicable when an individual seeks public elected office in a foreign state or other policy-level position. In such cases, the Department of State will carefully ascertain the individual’s intent toward U.S. citizenship. In some cases, it would appear that holding a foreign office may be incompatible with maintaining U.S. citizenship (e.g. if the position necessarily entails absolute immunity from U.S. law and the powers of the office are exercised in a manner contrary to United States law), although even this situation would be examined on a case by case basis. The Department does not normally consider foreign government service alone as sufficient to sustain the burden of showing loss of U.S. citizenship by a preponderance of the evidence when the individual has explicitly expressed a contrary intent. This is particularly true when the individual continues to file U.S. tax returns, enters and leaves the U.S. on a U.S. passport (as required by law), maintains close ties in the U.S. (such as maintaining a residence in the U.S.), and takes other actions consistent with an intent to retain U.S. citizenship. Conversely, a person who publicly denied an intent to retain citizenship, and/or who exercised the authorities of a very high-level foreign office in a manner flagrantly violative of United States law or otherwise inconsistent with allegiance to the United States, stopped paying his/her taxes, traveled to the United States on a foreign passport, and abandoned any residence in the United States might be found to have intended to relinquish U.S. citizenship notwithstanding certain statements to the contrary. Therefore, the Department will consider statements, as well as inferences drawn from the person’s conduct, in determining one’s intent to remain a U.S. citizen. Intent is determined on a case-by-case basis in light of the facts and circumstances of each individual’s case. If expressed intent and conduct are consistent with a lack of intent to relinquish U.S. citizenship, the Department would generally conclude that no loss has occurred. Petros wrote: The State Department also says that if a person renounces and then returns to live in the US, that person shows that their renunciation was without intent. So in other words, what I say is true. Intent is not just what a person says but what a person does. A potentially relinquishing act require intent. If you intended to relinquish your citizenship when you became a Canadian, therefore, do not file income taxes, FBAR, or obtain a US passport. The U.S. Department of State has concluded that the intention to relinquish U.S. nationality required for purposes of finding loss of nationality under Section 349(a) of the INA does not exist where a renunciant plans or claims a right to continue to reside in the United States, unless the renunciant demonstrates that residence will be as an alien documented properly under U.S. law. Unfortunately the US Embassy itself does not seem to apply this consistently. I have a friend who thought he had relinquished US nationality by becoming Canadian, and did for a time reside and work in the US after doing that BUT ONLY AFTER APPLYING FOR A RECEIVING A GREEN CARD which sure sounds to me like a demonstration his residence was “as an alien documented properly under US law.” In spite of this, his lawyer was told by a consular official in Ottawa in August that my friend is still in their eyes a US citizen and subject to US taxation (and no he never filed tax returns to the IRS after becoming a Canadian, and yes he met all the other criteria substantiating his relinquishment). The problem with US law is that it is so convoluted, complex and contradictory that even their own bureaucrats can’t figure out what they’re supposed to do and get it right. Witness inconsistencies across consulates over something as simple as giving, or not giving, renunciants copies of their own oaths they signed in front of the consular officer as proof their renunciation or relinquishment is in process, as reported elswhere on this forum. All the more reason never to have any dealings with the US at any level, unless you’re filthy rich and can afford to pay lawyers to keep fighting their inconsistencies and contradictions in US courts. Our people have to be prepared in advance with proof texts to confound these idiots. If they say you have to do something, then you ask them what is the basis in law for their contention. We have the law and what is ethical on our side–the laws says that our intention is what matters, not their imperious attitudes.I’m thinking about doing a travel advisory: Warning to Canadians, do not travel to the United States without knowing what your rights are. Government officials will try to bamboozle you out of your life’s savings, but they are acting in manner inconsistent with US code. Deckard suggested some weeks ago (private conversation) that Foreign Affairs Canada maybe ought to be posting a travel advisory to the US, for anyone who was born in the US and is going back to visit. I’m not optimistic that under John Baird’s minister-ship that’s ever going to happen, and in any case we probably would have to wait until we have firm evidence of someone being screwed over at the border for taxation reasons. But if and when the latter happens, I think a bunch of us should write to Foreign Affairs (Baird would be a waste of time) demanding a travel advisory be posted. Right now the only travel advisory for the US is “take normal travel precautions.”So far, with the spectacular exception of that gorilla in Blaine Washington months back, I haven’t heard of and certainly haven’t ever personally witnessed nastiness from the border people toward Canadians of US birth, but there probably will be a first time soon.Americans, particularly American officialdom especially in the IRS, are exceptional all right. Exceptionally arbitrary, inconsistent, convoluted, incomprehensible.At a roadside stop in upstate NY on our way back from a Thanksgiving visit with my wife’s family, I saw a sixty-something motorcycle dude with a Harley which had a “US Air Force” sticker on one fender (I think he may have been a vet) and a sticker on the other fender saying “I love my country, it’s my government I don’t trust.” We aren’t the only people on this continent who don’t trust US officialdom. So why do they keep electing politicians that perpetuate outrages like this? This is an interesting and difficult area. Remember that the State Department cannot make the final determination on the issue of “intention to relinquish” citizenship. The final decision is made by the court (assuming that you have the money to get there). 1. When it comes to an expatriating act, no one factor is determinative of intention. 2. If you have become a Canadian citizen and thought that by becoming Canadian you were relinquishing your U.S. citizenship – this means that you became a Canadian with the intention of relinquishing U.S. citizenship. Therefore, you should NOT – on an ongoing basis – do the things that are required of U.S. citizens. (You may have past issues that need to be resolved.) Under no circumstances should you apply for or travel to the U.S. on a U.S. passport. 3. The way that the U.S. interprets its law is in the way that it thinks best serves its interests. The history of the U.S. government in relation to citizenship has been to punish people. For example in the Vietnam area, the U.S. government would “strip people” of citizenship. If you became a Canadian as part of evading the draft, it is very unlikely you are still a U.S. citizen. These days – a citizen is just somebody to tax – so the U.S. wants citizens (don’t know why they are trying to keep the immigrants out) – so it is harder to claim non-citizenship. First Richards – those of you from the Vietnam era should find comfort in this case. The following Court of Appeals case (one step below the Supreme Court) isn’t nearly as relevant nowadays as it was in 1985, in light of the State Department’s current (and much more permissive) policy on loss of US citizenship. William Richards became a Canadian citizen in 1971. At the time he did this, the Canadian naturalization oath included a clause renouncing prior allegiances. Accordingly, a lower court concluded that Richards had lost his US citizenship. 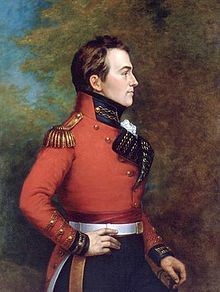 Richards argued that he had acquired Canadian citizenship only because he needed said citizenship in order to get a job with the Boy Scouts of Canada. Although he conceded that he had made an explicit statement of renunciation of US citizenship as part of the Canadian naturalization procedure, he contended that this action on his part was not voluntary because he had been under “economic duress” at the time. The Ninth Circuit Court of Appeals rejected Richards’ economic duress argument, observing that he had worked in Canada for several years as a teacher without being a Canadian citizen, and that there was no evidence that he had been forced to leave his teaching job or that he had made any effort to find a job that would not have required him to obtain Canadian citizenship and renounce his US citizenship. It should be noted, by the way, that Canada no longer requires new citizens to give up their other citizenships. The renunciatory language in the Canadian naturalization oath was ruled illegal by a Canadian court in 1973 on technical grounds and was subsequently removed — and Canada has allowed dual citizenship without any restrictions at all since 1977. Hence, the Richards case is generally not relevant to Americans who became Canadian citizens after that time. This next case was decided in a different time. Pay very careful attention to facts. What did Rich actually do so that the court decided he did not have the intention to relinquish U.S. citizenship? The following case seems somewhat more in line with the current State Department policy that loss of US citizenship occurs only when a person truly intends to give it up. Marc Rich, defendant in a multi-million-dollar business lawsuit, contended that the Federal District Court which had heard his case lacked jurisdiction because he (Rich) had given up his US citizenship in 1982 when he became a naturalized citizen of Spain. The Spanish naturalization oath he took included an explicit renunciation of US citizenship. Accordingly, the Second Circuit ruled that despite Rich’s actions, he had retained his US citizenship because he had never truly intended to relinquish it. So, this case turns on its facts – do not behave as a U.S. citizen after having performed an expatriating act. Behave in the opposite way. Thank you for these excellent comments. This makes this page worthy of being a resource page. I am adding it to the side bar. *My Canadian born son wanted his US citizenship when he turned 18 (now 28). I refused to give it to him so he went to his Grandmother who helped him. He has no Social Security number, no US passport and has always traveled as a Canadian. He is possible that he is not a US citizen? Can he relinquish it if he is, not renounce it? Answers are hard to find. Can you clarify on your ‘refusing to give US citizenship to your son’? I am just assuming that you are a US citizen and your son, therefore, is what is termed “Accidental American”. I further assume that you aren’t providing him with your birth certificate information and any other he might need to obtain a US passport. If you are a US citizen and have lived in the US for the prescribed amount of time, he is considered by the US a US citizen and will be able to get a US passport, with a some diligence on accessing the proper records. It is something he should definitely research before making a rash decision. On the other hand, it may provide him business opportunities that he would otherwise not have. There is A LOT of good information on this site that he (or you) can access to help him make an informed decision. prior allegiances.) is applicable to me. I became a Canadian citizen in January, 1973 and the judge was very explicit during the interview that I would be giving up my US citizenship when I took the oath. I note the the form for relinquishing US citzenship asks for the wording of the oath, but I just can not find that anywhere, and I have tried a lot. So, does anyone have or know where I can obtain a copy of the citizenship oath as it was BEFORE the changes that omitted the part about renouncing previous allegiances? Any help appreciated – this is a fantastic and helpful site! I became a citizen of Canada in October, 1972 so like you, part of my Canadian citizenship ceremony was to both sign and recite a renunciatory oath in addition to the oath of allegiance to the Queen and her heirs. That ‘renunciatory oath’ was no longer required some time after April, 1973. The oath is as follows: ” I hereby renounce all allegiance and fidelity to any foreign sovereign or state of whom or which I may at this time be a subject or citizen”. Woofy, I applied through ‘Citizenship Canada – Access to Immigration’ for a copy of that oath. It took approximately 1+ month, but I did receive the copy of the oath last March. You can access the information regarding this on Citizenship and Immigration website. I now carry a copy of the oath with me when I cross the border, but have never had to produce it. Like you, I was told at the time of becoming a Canadian, that my loss of U.S. citizenship would be ‘permanent and irrevocable’. However, the Yanks seem to have changed their minds about certain things. If William Richards today went to court regarding maintaining his U.S. citizenship, I have no doubt that he would be permitted to call himself a dual citizen. I base that belief on the fact that I have a friend from my University days, who became a citizen of Canada in the 70′s, actually obtained a CLN and then applied in the 80′s to ‘get back’ her U.S. citizenship. She told them (exactly like Richards) that she had become a Canadian in order to get a job with the Ontario government and as a single mother she needed the job. She is now a ‘dual’ citizen of both countries. (Mind you she regrets that decision of the 80′s with all that is going on now). I believe you might be relatively new to this site so you may not have had the opportunity to read many of the posts. Because I do not trust the U.S. government any longer, I made the decision to apply for a back-dated CLN based on the expatriating act of 1972. It would therefore be a ‘relinquishment’. I had my first meeting with the Vancouver consulate in late September and now am anxiously awaiting news of a 2nd appointment. None of us who ‘expatriated’ decades ago believed we might be still considered American citizens. In particular, people like yourself and myself, who recited and signed that oath, truly believed we were only Canadian. *Thanks muchly Mr. Tiger! Been looking all over for that. Could you put here the entire text of the oath so I can copy and print it? You are correct – I am very new here, and getting quite confused about the whole thing still. Trying to figure if it would be best to go for the relinquishment option or just try to lay low. Relinquishment is very tempting but I wonder if it may not do much, or even raise a red flag, if the consulate sends it to IRS and IRS takes the date of relinquishment to be the date one applied at the consulate rather than the date it was backdated to. Seems to be a divergence of opinion on that here. I am beginning to think even about just withdrawing most of what I have in the bank and going the mattress / safe route. Or maybe opening another bank account to keep lower balances so less chance to raise flags. It is interesting, and very discouraging, that the standard “Terms and Conditions” that ALL banks seem to use require depositors to give them permission to keep and store your records in the USA and to release them to just about any court or government authority that makes the request. Too bad we don’t have a real CANADIAN bank that just does business in CANADA. Even the credit unions use the same terms and conditions. I haven’t seen anything yet on the effect of FATCA on pension plans. Anyone know what if anything it might be (I am retired and currently receiving a pension). Well, lots to learn, lots to read and big decisions to make. It is very good to have this site. I have never heard that U.S. consulates/embassies would ask any questions regarding the ‘intent’ of someone who acquired the citizenship of another country. If an individual acquired their Canadian citizenship in 1980 ‘voluntarily and with the intent’ to relinquish their U.S. citizenship, ordinarily, that individual would be allowed to apply for a back-dated CLN. Because you applied for an U.S. passport, it is possible you might have jeopardized that possibility and would have to ‘renounce’ your U.S. citizenship. There are others on this site who have been caught in that trap. Here is a useful argument for anyone who used/renewed a passport, did taxes, etc. Please see IRS Expatriation form 8854 instructions: http://www.irs.gov/pub/irs-pdf/i8854.pdf (bottom of first page) — It seems to me that until you turn in a DS-4079 form, they say you are a US citizen. on the earliest of the following dates. certificate of loss of nationality). In other words, for Pre June 4, 2004 relinquishes until you turn is a DS-4079 to the DOS, they are basically saying you are legally a US citizen, but the IRS says you tax expatriated for tax purposes the date you did a naturalizing act / took an oath. (Look at the older 8854 instructions before 2004) And we know legally, US citizens are required to use a passport. So you have every reason to assume that you required to use a us passport -or- maybe even vote, etc., etc. As an ‘accidental’ American (born in Canada via American mother, never registered in the US, never lived in the US, never voted in the US, no property owned in the US, never filed US tax reports, have no SSN; educated, lived, worked, voted only in Canada, have Canadian passport) in early 80s, swore allegiance to Canada (and understood that in so doing was renouncing any ties to US) and took up a federal government job — hence 2 expatriating acts (and supporting conduct). In late 80s, applied for a passport in order to establish identity to US gvt so that I could advise them that I had sworn allegiance years before. Passport eventually came, but was never operationalized (Consulate signature missing). The passport was never renewed. For a number of reasons (overwork), I did not advise US of prior expatriating acts. Given that I have an expired non-operationalized passport, issued after my expatriating acts, any views on whether I may encounter barriers when I approach the US consulate to relinquich this US citizenship once and for all? Wow all of this makes sense to me now. I was born in the US to Canadian parents in 1983. Moved to Canada in 1986 and became a formal Canadian citizen in 1999. I have always thought I relinquished my citizenship in 1999, but this is not the case (supposedly). This was brought to my attention when I took a family vacation to USA in December 2013. The customs guard told me that I am American and I need to get a passport. I didn’t think much of this, but was surprised as I had never heard this before. After doing research most of this week, I finally get it. There are two ways to lose your American citizenship and because I have absolutely no ties to the US, I can relinquish. IF I had gotten my US passport, I would have had to renounce it. It’s funny, because I have been panicking all week about doing my taxes so I won’t get into trouble with IRS (and because of this new FATCA law coming to Canada in July). Turns out, if I would have done this, I wouldn’t have qualified for the the relinquish option. I truly feel let down by the system. It’s funny because I had plans to travel to NYC this spring but plans have changed. USA is going to miss out on revenue from people like me wanting to travel there with ease. Until I get the loss of citizenship certificate, I will not be stepping foot into that country. Is a CLN always necessary, is it the only way to demonstrate relinquished citizenship, even if that occurred before 2004? What’s wrong with a Canadian citizenship card? If a US born person left the US at age of 2 gained Canadian Citizenship at 10 and the took an Oath of Allegiance to the Queen and worked in a Government job in the 1980s Never had US Passport, income property in US never voted in the US would relinquishment work? No taxes owed in US at any time. Children, home and family in Canada.The bigger question; If you relinquish and get CLN with 1980s date do you still have to file FBARs or taxes returns? Would best case be to file relinquishment first.